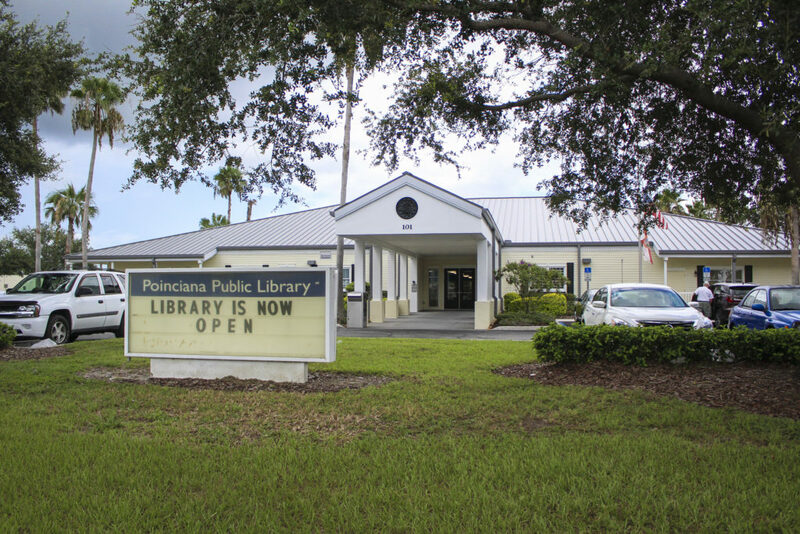 The Poinciana Branch Library is located in southwestern Osceola County near the Polk County border. 30 ft. x 30 ft.
Introduce your child to Charlotte's Web, the beloved classic by E.B. White. Fern is a little girl who loves her pig Wilbur, but it's up to Charlotte the spider to save Wilbur's life. This touching story is one children will never forget reading for the first time. In partnership with the Orlando Sentinel, kids that attend will receive a copy of the book to read, and enjoy activities, games, and trivia that will bring the book to life. Take your financial future in a new direction! Learn how financial institutions evaluate your credit, the strategies to maintain a good credit record and the best practices to repair your credit score. Presented by CFE Federal Credit Union. Improve your English through conversation. Practice speaking with others in a class taught by Florida State certified teachers in partnership with the Adult Learning Center of Osceola. All home/native languages welcome.